1. 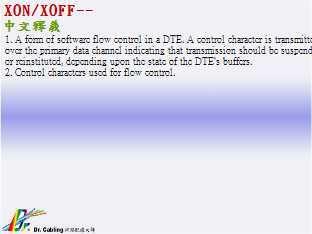 A form of software flow control in a DTE. A control character is transmitted over the primary data channel indicating that transmission should be suspended or reinstituted, depending upon the state of the DTE's buffers. 2. Control characters used for flow control. For Knowledge Only. No Business Prohibited.